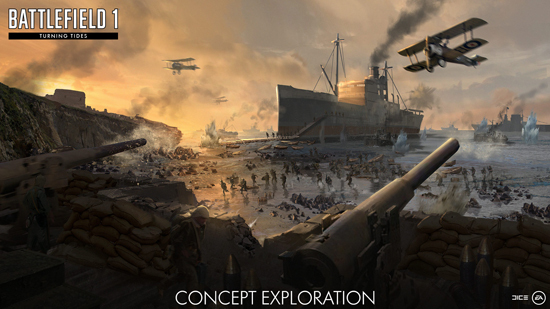 Conquer land, air and sea in the amphibious battles of the Great War! 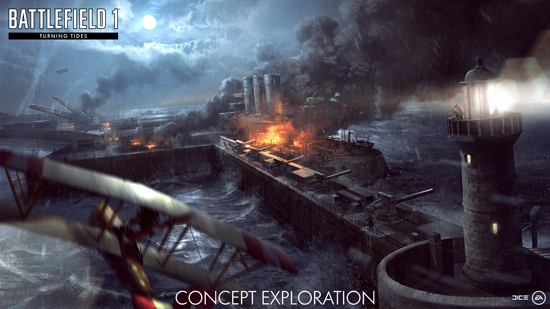 In Battlefield 1 Turning Tides, players can deploy into all-out war in a variety of maps and gameplay set across Gallipoli and the North Sea. 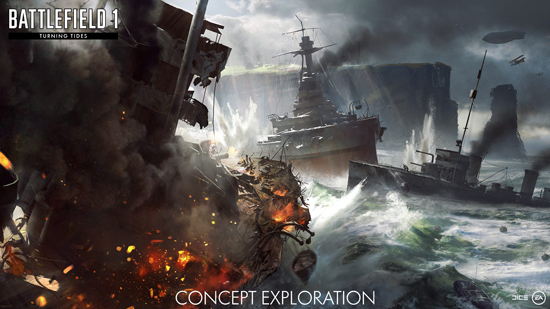 The third expansion of Battlefield 1 will bring 4 all new maps, 6 new weapons, an Infiltrator Elite Class, L-Class Destroyer, C-Class Airship, a new epic Operation and more. In the new game mode, Conquest Assault, a twist on the signature conquest mode, attackers and defenders fight over key areas, exclusively controlled by the defending team as the match starts.